Each class will begin with a general group warm-up, followed by a movement specific warm-up. We will then review technique on all exercises to be used in the daily workout. This challenging and FUN programming will include various conditioning tools such as skipping, running and kettlebell work, bodyweight movements such as squats, lunges and push-ups and a mixture of strength work utilizing dumbbells and heavy bags. You will learn to push, pull, press and carry your way to better health. Every exercise is scalable. This means that if you cannot do one of the prescribed movements it can be changed to suit your abilities on that day. Every single person can participate and benefit from this class! The ultimate goal is to get you moving and enjoying fitness. You won’t want to miss out on these 45 minute, high energy workouts. Desired Class Outcomes: Learn new workouts, improve your techniques and build strength and stamina. Megan Maes is a CrossFit coach, the creator of multiple bootcamps and creator/programmer for an ages 50+ fitness class. 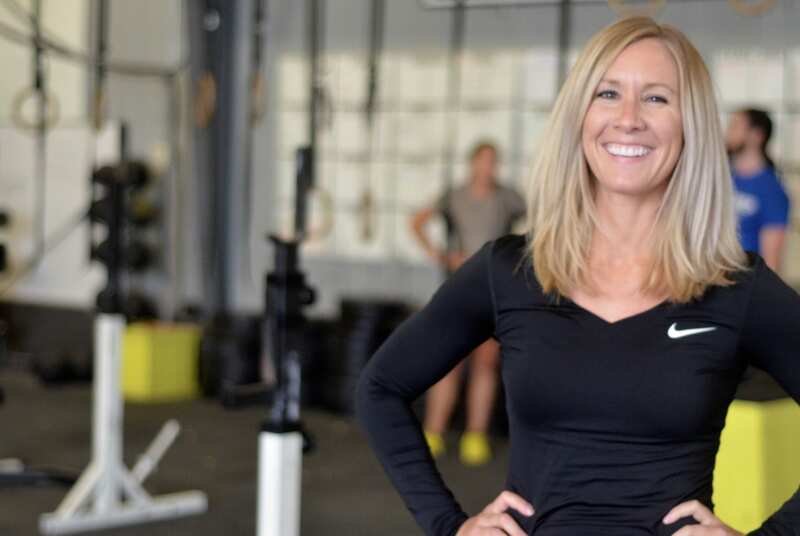 She has completed a 130 hour coaching apprenticeship program and holds multiple movement and mobility certifications which gives her a wide variety of knowledge and experience to bring to her programming and classes. She has over 4000 hours of group class coaching, personal training and small group training. She has worked as a team with both Osteopaths and Physiotherapists to improve strength, movement and the lives of many people living in Winnipeg and the surrounding area.